Blackberry 8800 Officially Announced in Canada | BlackBerry Blast! This seems a little late considering all the buzz about the Blackberry 8800 going around recently. Rogers Wireless has officially announced the BB 8800 in Canada. 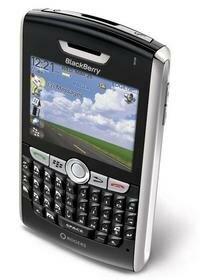 Operating on Rogers' high-speed EDGE network, the quad-band BlackBerry 8800 is the thinnest BlackBerry handset yet. It incorporates built-in GPS (Global Positioning System), a full QWERTY keyboard, RIM's new trackball navigation system for fast and intuitive navigation, a media player, and a microSD expandable memory slot for storage of music and videos. The BlackBerry 8800 offers proven and popular BlackBerry features including support for phone, email, text and instant messaging, web browser, organizer, multimedia, corporate data applications and more. "Rogers continues to bring Canadians the latest innovations in mobile devices such as the new BlackBerry 8800," said John Boynton, Senior Vice President & Chief Marketing Officer. "Our business customers are always looking for the latest in technology and with the new BlackBerry 8800 they can get ahead of the competition and save time by having access to the latest in mobile innovation and email connectivity." Today Research In Motion and Rogers introduced the sleek, elegant and performance-driven BlackBerry 8800 - a powerful, feature-rich smartphone that delivers best-in-class technology in a thin and stylish design. It features built-in GPS, and offers support for phone, email, text and instant messaging, browser, organizer and more. The BlackBerry 8800 features built-in GPS and supports location-based services applications. It includes BlackBerry Maps, which provides on-screen driving directions with the ability to track the route via the GPS - and integrates with other BlackBerry applications, so users can generate a map from an address in their BlackBerry Address Book and send maps via email from their BlackBerry 8800. Rogers' customers can also receive turn-by-turn voice and on-screen driving directions on the BlackBerry 8800 with TeleNav GPS Navigator�, which Rogers Wireless and TeleNav announced separately today. TeleNav GPS Navigator includes turn-by-turn voice and onscreen driving directions with 3D full-color moving maps. The TeleNav Navigator service also includes Biz Finder, with information and directions to more than 10 million businesses and Fuel Finder, which provides users with directions to gas stations with the cheapest gas. "The new BlackBerry 8800 smartphone is as stylish as it is powerful and the built-in GPS adds an exciting new dimension to the user experience," said Mike Lazaridis, President and Co-CEO at Research In Motion. "We are proud to introduce the BlackBerry 8800 to Canadians with its world-class functionality and cutting-edge design."